NEW TRIP – It’s never too late to see some of the most famous music superstars the world has ever known. 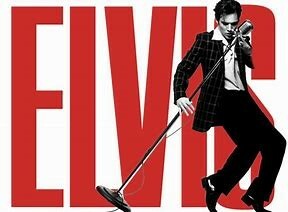 Join as we experience a collection of amazing tribute performers who incredibly seem to re-incarnate stars like Elvis, Micheal Jackson, Buddy Holly, Patsy Cline and more. * Clauson Family Music Roll Show: The Clauson’s are incredibly gifted musicians. Their variety show features 50’s & 60’s toe-tapping Rock-n-Roll and sing-along classic Country tunes. * Great Pretenders Tribute Artist Show: You won’t believe your eyes or ears! This group of incredibly talented artists bring to life some of the music world’s most iconic stars both past and present – Elvis, Johnny Cash, Roy Orbison, James Brown, Buddy Holly, Rod Stewart and more. * Elvis Explosion: Some of the world’s finest Elvis impersonators converge on LaCrosse for this amazing competition and show. We’ll watch in amazement as these Elvis lookalikes battle to come away with the Top Elvis Impersonator Award. * LaCrosse Queen Mississippi River Dinner & Show Cruise: Enjoy an amazing cruise on the Mississippi River featuring a live music show and a delicious meal. * National Owl Center: No pretending here. We’ll visit this Center for a fascinating and educational program about owls. You’ll gain a whole new understanding and appreciation for these incredible creatures. * Granddad Bluff: Pretend to be a soaring eagle as we perch high above the Mississippi River Valley. From this viewing area you can see three states and up and down the Mississippi River for as far as the eye can see. All breakfasts and all evening meals are included. Motor coach transportation. Minimal walking.